This photograph shows G.W.R. 0-6-0 saddle tank No.237 on the traverser at Worcester Works. Various sources give different information about this locomotive but the majority state that it was built by Robert Stephenson & Co in 1852 for the Manchester, Sheffield and Lincolnshire railway. It was acquired by the O.W.W.R. in October 1854 and became O.W.W. No.37 and then G.W.R. No.237. 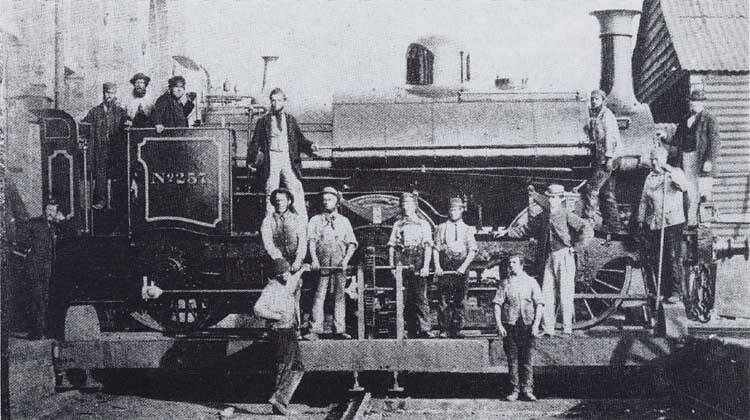 The photograph was probably taken in October 1865 when the locomotive was rebuilt as a saddle tank. Suggestions that this locomotive was built or rebuilt by the Worcester Engine Works Company Limited are erroneous.